"From the moment of her birth, Farema was not like her sisters. She didn't respond normally to sounds or the touch of a hand. She was different. Embrace this mother's deeply personal account of tragedies and triumphs, along with joys and sorrows of raising a child with the devastating disability of autism. When I was asked if I would review this book, Lonely Girl, Gracious God written by Lauri Khodabandehloo, I wasn't really sure what to expect. It's Lauri's thoughts and views as she goes through explaining how everything happened and how God used her daughter's autism to draw her closer to Him and to fully rest and rely on Him. While it's not the type of book I normally enjoy reading and I felt that it took an extremely long time to even get to the point of saying that her daughter actually was autistic, I think that if you have a child with autism or love inspirational real life stories, then you will enjoy this one. There is always hope when you rely on God and I feel that this really comes across through this story of Lauri's journey with her daughter. For anyone who lives with autism, this book takes an honest look. I had the opportunity to read and review this heart-wrenching and faith-inspiring memoir by Lauri Khodabandehloo, Lonely Girl, Gracious God: A Mother’s Story of Autism’s Devastation and God’s Promise of Enduring Love. From the beginning of Lauri Khodabandehloo’s pregnancy, she suspected something was wrong with her unborn child. After her seemingly normal daughter is born, her uneasiness continues as her daughter’s development lags. While continuing to deny that her child has a disability, this mother searches for answers and help for her daughter and her special needs. Through thorough self-inspection and eventual acceptance, answers come and the ability to help her child begins. 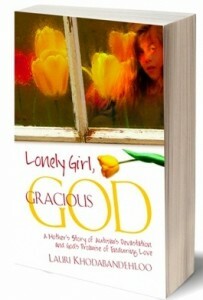 Lonely Girl, Gracious God shows us what a mother can accomplish through love and faith in a caring God. With this faith to guide her, she and her daughter make a happy life from the pieces they have been given, but not without pitfalls and discouragement along the way. For anyone who lives with the tragic disability of autism, this book takes an honest look at the heartbreak and hope that family members encounter on their journey for a "normal" life, not only for them, but also for their autistic child. "I highly recommend this book to my fellow readers" said this blogger. A couple months ago I received an email from Bring It On! Communications about possibly reviewing a book called Maximal Reserve. I was a little skeptical at first because the book did not fit into the usual genre of books that I am drawn to. However, I decided to give it a try. I am SO glad that I did. 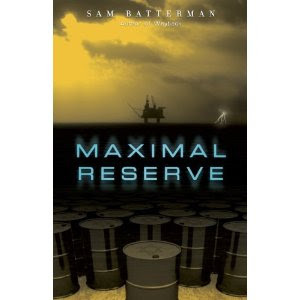 Maximal Reserve, by Sam Batterman, is a Christian thriller that intrigued me from the very beginning. I became completely engaged in the plot & was constantly kept on my toes. Though this book is a work of fiction, it is still something that could become real within the blink of an eye. As you read your mind is constantly asking questions such as "What if this really happened?" and "Is this something that we should be on the look out for?". Batterman takes the elements of thrill, suspense, romance, & mystery and turns them into one of the best novels I've read in a while. There is never a boring moment from the beginning of the book to the ending page. I will definitely be checking for other books by this author. I highly recommend this book to my fellow readers. 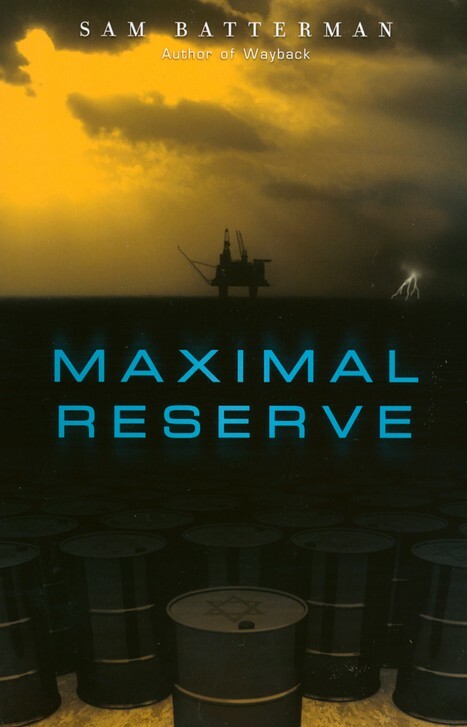 You can purchase a copy of Maximal Reserve through Deep River Books for a low cost of $14.99. This story shares how despite your best efforts, in the end, all you can do is let go. The Richburgs adopted Emma from Thailand after having two children of their own. They were filled with hope and dreams for this little girl and were thrilled to bring her into their home. They researched international adoptions and thought they were prepared for all of the transitions and struggles they were about to face. Even before Kristen and her husband Andrew left Thailand with Emma, they noticed that something just wasn’t right. Everything was too easy...she didn’t fuss or panic about leaving. Once they got home Emma got worse and started hating Kristen more and more. Over time they learned that Emma was incapable of love, trust or intimacy due to abuse do to her attachment disorder. This little girl only knew how to sabotage and manipulate those who loved her most. I was completely unprepared for, and shocked by, the story of Kristen Richburg and her family’s struggle to care for a child who was incapable of loving them in return. After reading this book, my heart just aches for this family because of all they’ve been through. This is a heavy read even in the end when Kristen shares of the healing process they have begun. As a mother I could relate to Kristen’s needs and desires to nurture and provide for her daughter and I can only imagine how much it must have hurt when Emma wouldn’t let her. This story is an eye-opening account of what can happen despite our best efforts and a testimony to the fact that sometimes all we can do is let go and leave it in God’s hands. 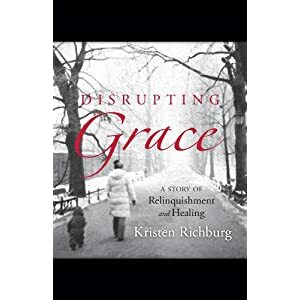 Disrupting Grace is written by Kristen Richburg and published by VMI Publishers. $13.99, ISBN 978-1-935265-04-7. To learn more, visitwww.disruptinggrace.com. This book was provided to me by Bring It On Communications for free in exchange for my open and honest review. All opinions stated herein are mine.To read more reviews like this one, go to Tell Us The Truth Reviews! This is a fun book for any child with lots of pictures and great review questions! The classic story of David & Goliath is well-known and a favorite Bible story for many children because of David’s success despite all of the odds stacked against him. But…we usually only hear the story from one perspective. You may ask how many perspectives there are and I would too, but Dr. Gerald Mittmann has taken this story to a whole new level. If rocks could talk and feel, what would the rock that killed Goliath have to say? What story would that rock tell? 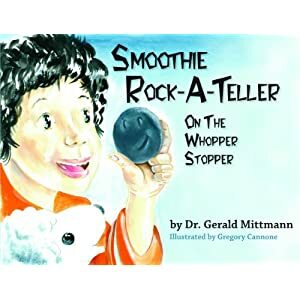 Smoothie Rock-A-Teller is the stone that was shaped and smoothed over time specifically for the purpose of being placed in David’s sling and killing Goliath. I am always on the lookout for different ways to teach my children stories from the scriptures and I thought this book presented the story from a fun and intriguing perspective. Immediately after we read this book for the first time, my 4 year old was playing his own version of David and Goliath with his toy cars and I love to see that the story has made an impression on his mind. Honestly, it took a while for me to warm up to this book. My 4 year old has insisted on reading it daily since we got it and at first I felt that this book was way beyond his comprehension. It is a long book for young children to sit through and much of the story confused K because it was from a different perspective. Smoothie gives everything his own names (ie people are “talking-walk-abouts”, sheep are “baa-baa-mini-cloud-walkers”, etc), and I found myself feeling the need to replace those names as I read with the names K is familiar with. Now that we’ve read it several times I no longer need to and he understands the story just fine. I think this book would be perfect for children around 6-8 years old who would be able to understand it even better. My only other complaint is how random the text is…it is arranged sometimes confusingly, jumping all over the page and I often miss parts of the story and have to go back and figure out what order the paragraphs are supposed to go in. All complaints aside, above all, this book is a wonderful reminder of God’s love for each of us and of His presence in our lives. This is a fun book for any child with lots of pictures and great review questions at the end of each chapter. This book is written by Dr. Gerald Mittmann, published by Deep River Books, and is available for $12.99. ISBN 978-1-935265-78-8. To learn more, visitdeepriverbooks.com. go to Tell Us The Truth Reviews! I was provided with this book for free in exchange for my open and honest review. All opinions expressed in this review are mine. This book may be fiction, but seems very close to actual events!! What would you think if the information we have learned about in school on so called "Fossil Fuels" was all wrong? What if it was more abundant that anyone ever thought and not only that but it was a renewable one? How would that affect our world's economy and the power of those that have control over oil production now? 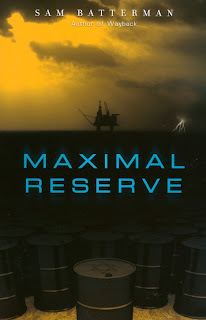 In the latest Christian, science fiction, suspense thriller, Maximal Reserve by Sam Batterman, uses those questions as a basis for the premise of his story. Axcess Energy is the newest up and coming company that promises that it will change the economy of the world through finding new sources for energy that would reduce our dependence on oil production. Ripped from recent headlines, this vast and unknown oil reserve is located directly underneath Israel. If they could harness this, it would make them, the largest country to have oil over all and drastically change the way the world views Israel. Philip Channing is hired by Dr. John Chambers to work for Axcess Energy as a geologist, to use the data they are uncovering beneath the mid-Atlantic ridge and find a way to tap into this source of oil and natural gas that lies deeper than anyone has ever known. It will be the ultimate job of a lifetime, until he discovers that people are willing to kill to keep this discovery unknown. I received this book compliments of Bring It On! Communications for my honest review and actually learned so much about the new theories about oil production and what really lies beneath the earth's surface and how far science may have gotten it wrong. I rate this book a 5 out of 5 stars and would highly recommend it considering just how close this book is to becoming not just a fiction based one but a true story after the discovery made in Israel recently. You can visit Sam on his website by clicking here! This book is full of concrete principles to help strengthen your marriage! Price: As low as 2.49$ at Amazon.com. Also available at Barnes & Noble. Can you believe that 1 out of every 2 marriages will end in divorce? Already I feel like I’m beating the marriage odds. My husband and I have been married for over 5 years and neither one of us went through premarital counseling. As much as I like to think we have a very solid marriage I know that a successful marriage takes work from both sides. Our marriage is a continual work in progress just like everyone else’s. I thoroughly enjoyed reading Beating the Marriage Odds. This book was written by a practicing pastor who along with his wife have a strong passion for helping couples in troubling marriages and couples who are thinking about getting married. This book is full of concrete principles to help strengthen your marriage or possible union. Throughout Beating the Marriage Odds William uses plenty of real world examples along with bible verses which I found very helpful. I really like that in the back of the book there is a breakdown of each marriage principle chapter by chapter. I found it very easy to review. There are also review questions in the back of the book that you and your partner can do together. I highly recommend this book to all couples considering marriage, couples in a troubled marriage or couples in a healthy marriage because even the healthiest marriages need constant work to make them last. For more information about this book visit Beating the Marriage Odds website. I was sent a copy of his book for free for review. I was not monetarily compensated to give a positive review. Thanks to Bring it On Communications for the free book. This book is packed full of suspense!! What if Oil isn't Scarce?? A secret that can change the balance of world power and finance in a moment is known by the most unlikely of people - and he's only been employed for a week. Philip Channing was just an ambitious college graduate who wanted to make his mark on the world. He didn't know that mark would be the greatest oil discovery of all time - in the wrong would be the greatest oil discovery of all time - in the wrong place. Philip finds the largest oil reserve in history, a reserve that dwarfs the lucrative reserves in Saudi Arabia and threatens to changes the world's balance of power and wealth in favor of the most unlikely country of all. But Phil isn't the only one who's discovered the reserve - and an alliance of crooked politicians and terrorists will do anything to keep it secret. 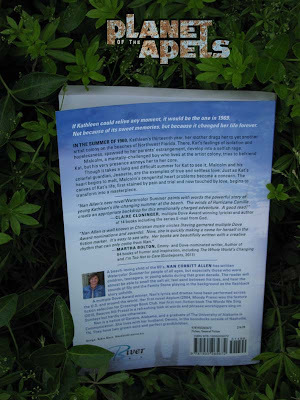 Maximal Reserve is action packed book and is a great read. It is filled with a little bit of conspiracy and fabulous content regarding the Middle East, Israel, and the oil reserve. This is not an ‘easy’ read, there is a lot of scientific terminology and information in the book, showing that the author had to have done a lot of research for his book. He presents the information in an interesting way, so the reader doesn't go away bewildered and confused. There is also some romance, and my favorite: suspense. There is a lot of it in the book. Bad guys chasing good guys - I love that kind of thing, and Batterman did a great job on writing a suspenseful plot. The book begins with Philip’s friend Jack being murdered. Somebody targeted him presumably for what he has discovered in all his computer data. The character of Philip Channing is appealing; somehow even though he’s socially inept, deep in debt, and driving a jalopy, he comes across as utterly charming. Now he has the offer of a dream job, but it’s not quite exactly how he thought it would be. He has a girlfriend, Lisa, who works for the Governor of Texas, and receives disturbing information about some possible illicit activities that he’s involved in pertaining to the oil industry. And of course moving forward, you know all of those things really are tied together in the plot of the story. FTC: This post was written for Bring it on Communications who provided the complimentary product in exchange for my honest review. Attention!! Apocalypse 2012 Author Interview!! This show has an average listening audience of 1.5 million! Children's books just don't get any better than this!! Pookster could hardly wait to for her two front teeth to come loose because she wanted so bad to sing “All I Want for Christmas is my Two Front Teeth. And well, it finally happened. Then she really wasn’t so happy that she was toothless. This is such a cute book about a child losing teeth, and the importance of letting them fall out on their own. Being on a child’s level of learning, the young reader can identify losing a tooth with the need to be patient and wait on the Lord. This is a very well written little story and with the awesome comic pictures and font use, this makes a loveable teaching story that will surely capture the interest of any young reader. The words are clear enough that any child can understand them…and the pictures are great enough that children can understand the story through pictures. I really can’t say enough about this adorable book! I think you will fall in love with it just as I did! And you even get a CD to go along with it. It just doesn’t get any better than this!! I recommend this book to any family with young children, because all children are going to lose their teeth at some time, and what child doesn’t need to be taught patience? And this has nothing whatsoever to do with the books, except that this is the author singing a beautiful song. I just heard it for the first time today. Thought you may want to play it while you are reading the reviews. Very powerful song!
. Pookster loves pickles, even though they look like frog skins. (Never heard this before but the actually do!) One day while playing with her pickles, she yelled and said some bad things to her brother. Her mom reminded her that pickles can be pretty but they were sour, and that Pookster was pretty but sometimes she says sour things. This is an adorable story about pickles to teach young readers about using sweet words instead of sour words when talking to others. I think adults could relate to this story as well, and remember that sometimes even though we seem nice, we can also say things that hurt people. The funny comic pictures are just adorable, and the font just goes perfect with the story and the pictures. This book and the first one in the series is the sweetest and well put together books I’ve read for children. It is strikingly adorable….from the pictures to the font to the colors used to the story itself, you will just fall in love with Pookster and her family. And you get a CD to go with the book as well, and as I said before, it just doesn’t get any better than this! Thank you to Bring it on Communications for providing a copy of these 2 books. I was not expected or required to write a positive review of these books. The opinions in these reviews are mine alone. This book could easily be read in one day...it draws you in!! About the Author: Kristen Richburg is a mother of two who was adopted when she was a child. She has a B.A. is social work and currently lives in Boulder County, Colorado. About the Book: Disrupting Grace is the true store of Kristen Richburg and her family. They had two children and after much thought and consideration they decided to adopt a child from Thailand. In many stories we hear about adoption everyone lives happily ever after. This is not a happily ever after story. The child that the Richburg’s adopted, Emma, had suffered abuse and neglect before coming to live with their family and subsequently had a severe attachment disorder. Disrupting Grace chronicles the Richburg’s time with Emma and their eventual relinquishment of her. My Review: I had read several book about adoption in the past and while they did not always tell stories that were perfect and magical, in the end there was generally a happy ending. Disruping Grace shows a completely different side of adoption, one that is far more common that most people realize. Many children who are adopted have issues similar to the ones that Emma had and as the Richburgs found these issues cannot easily be solved through love alone or through the help of therapies. This book really drew me in. It was well written and since it came from a mother’s perspective I felt that I could truly relate to Kristen Richburg even though I have not had similar experiences. It was evident that Kristen and the entire Richburg family truly did love Emma and did everything they possibly could to help her and make her life better, including eventually relinquishing her in hopes that her new family would be better suited to meet her needs. Kristen Richburg was very open about how her family’s experience with Emma affected relationships with the rest of their immediate and extended family as well as with friends. I also enjoyed reading about how it changed her relationship with God and with herself. This is a very quick read (only 136 pages) and could easily be read in one day since it really draws a reader in and makes you want to keep reading. This is a book that I will be passing on to friends for sure! Buy It: Disrupting Grace retails for $11.89 from Amazon. Pick up your copy today! 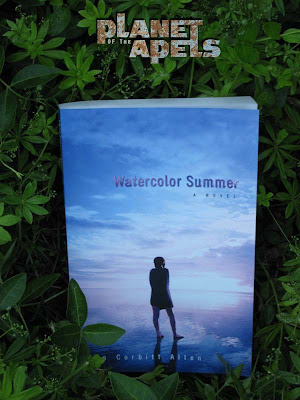 I was sent the book, Watercolor Summer A Novel by Non Corbitt Allen on behalf of Bring it On! Communications. You can buy an autographed copy of this fiction book for $12 here. This book takes the viewpoint of 13 year old Kathleen. Her Mother is a watercolor artist that takes her to an artist colony on the beaches of Northwest Florida. Kat is not looking forward to her trip. She hates seeing her family apart. Her fears become very real throughout the story. Kathleen wants to understand her mother that seems distant; lost in her own artwork. He father seems to be her favorite. She openly gives him hugs. His life is busy as a banker. It's apparent that work always comes first before family. Kat struggles with her own awkward teenage body. She spends a lot of time trying to figure herself out. The colony of artists are like family. A few of the characters Kat could care less to be around at first. Later on in the story she finds a true connection with her mother's artist friends. Jeanette is one of the ladies that helps run the artist colony. In the beginning Kat couldn't stand even listening to the sound of her voice. She soon sees that Jeanette has an open heart for everyone. One person Jeanette truly opened her herself to, was her son Malcolm. Malcolm has Down Syndrome and was left at the colony by his biological parents. Jeanette took him in as if he were her own child. Kat thinks Malcolm is annoying at first. He followed her everywhere. Once she learned that he followed her because he was worried about her, her heart opened up to him. I was interested in reading this book because the title stood out to me. We have a few artist's in the family. This book was not entirely about art. I did still really get into it. I could relate to the mother in this story. This book did take me back to when I was 13 years old. How awkward I felt in my own body. I thought it was great that the author wrote about songs and lyrics in the book that Kat listened to. At that age music was truly an inspiration to me. Nan Corbitt Allen is a beach-loving child of the 60's. 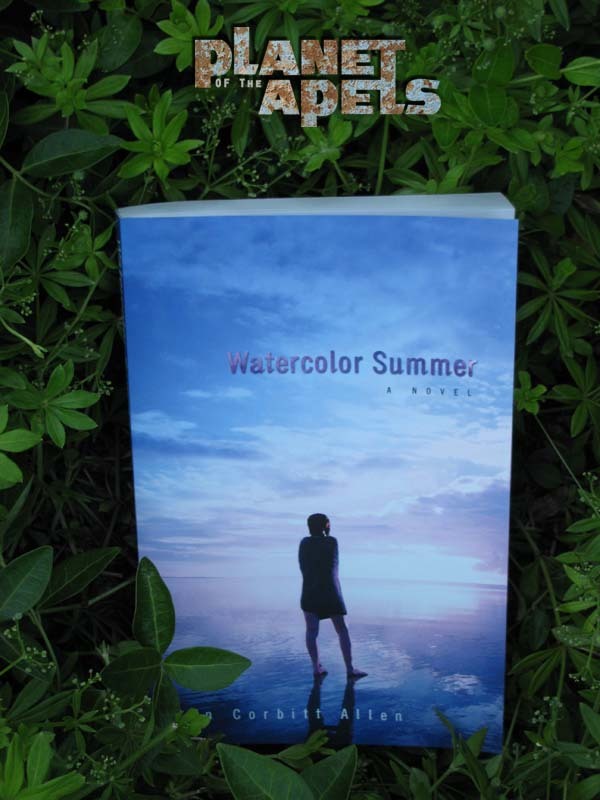 She wrote Watercolor Summer A Novel mainly for people that lived in that decade. She has a way of drawing in the reader. I felt like I was on the beach, feeling the sand between my toes. I could hear the song of Aquarius playing in the background as the story unfolded. Her lyrics and dramas have been performed across the U.S. and around the world. She is a multiple Dove Award winner. The opinions on this post are my personal take on the products. This blog is a personal blog written and edited by me. I am not compensated to provide my opinion except for receiving the products themselves to test out. Bring it On! Communications provided me with a free sample of this product to review, and I was under no obligation to review it if I so choose. Nor was I under any obligation to write a positive review or sponsor a product giveaway in return for the free product. This book is not only great for adults, but young adults too! Janie, her mother and grandmother all live together in a small house in Great Falls, Montana. Janie’s mother works in a beauty salon. Janie’s father left town before she was even born. Life is simple and with a strong belief in God Janie and her small family of 3 enjoy life. Janie goes to school and each week she attends church. One day Janie’s world is turned upside down when her mother falls in love and eventually marries a farmer named Gunder. I really enjoyed reading The Place of Belonging. This book brought me right to Montana in the 1940′s. I was transported to another place and time and really enjoyed it. This uncomplicated and simply told story was a pure joy to read. The beautifully descriptive words made me feel like I was there staring up at the ”Ole Buttermilk Sky”. The Place of Belonging is a heart wrenching memoir told through the eyes of little Janie and her struggle to find her place of belonging in a world turned upside down. I often felt like I was reading Janie’s personal journal because of her continual monologue throughout. Janie’s strong faith and trust in her mother would help guide her along a difficult sometimes lonely path. Janie tries desperately to find where she belongs and trusts that if she obeys and trusts in the Lord she will find her place of belonging. Janie eventually ends up moving to the farm with her mother, step-father and countless siblings, she helps her mother with her new ever expanding family and eventually finds where she belongs. I highly recommend this book to anyone looking for a quick enjoyable book to take them away to another place and time. Although it is intended for adults I really think young adults and teens would thoroughly enjoy this book as well. I was sent a free copy of The Place of Belonging for review purposes. I was not asked or monitalry compentated to give a positive reveiew. The above thoughts are my own. If you're a fan of Disney, you're going to love this book! If you’re a fan of Disney, you’re going to love this book! 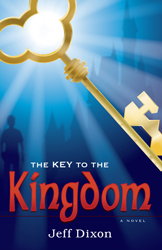 The Key to the Kingdom by Jeff Dixon, is about pastor Grayson Hawkes whose old friend, an Imagineer at Disney World, gives him an antique key before he mysteriously disappears. A suspenseful adventure ensues as “Hawk” tries to figure out what he must do. A trail of clues and characters lead him on a dangerous race through the streets of Disney World, where the people and things he encounters are not always what they seem to be. The adventure is complicated by the appearance of a mysterious woman. “Hawk” finds his faith tested. Will he find his missing friend? The author mixes fiction with facts about Disney World to the point that it almost makes you start questioning what you thought you knew about the Magic Kingdom. The Key to the Kingdom is an interesting, fast read… and it will make you want to go to Disney World to check out some of these ‘clues’ for yourself. Being a Disney fan, I loved the book. Even if you’re not that into Disney, I recommend this book. It’s an action-filled treasure hunt that will keep you guessing until the very end! I’d love to read more from this author, and based on the last chapter I think there’s a good possibility of a sequel. Key To The Kingdom Trailer from Marc Percy on Vimeo. You can order The Key to the Kingdom at Amazon or Deep River Books. I love to read a book every so often, but with kids, the house, the outside, and well my blog is my get away I don't get to do it that often. So, when I get the chance to read a book I love the escape and really get into the story completely. I had the chance to review the "The Forgotten Awakening" By: Douglas McMurry which is such a great book and I really enjoyed it. I wasn't sure if I would at first but the more I read it the more I really loved the story line. I really enjoyed the characters in the book and the roles they played. It is a great way to read about the spread of Jesus Christ in such a different way and I really enjoyed it so much. My mother is now borrowing the book and so far she has really loved it as much as I have. The dedication in the book is so fulfilling and could not have asked for a better read and to learn so much myself. Description of the book: During the Second Great Awakening (1799-1830, the years of James McGready and Charles Finney), God was drawing our nation powerfully to Jesus Christ. What few people realize is that He was working to draw certain Western tribes to Jesus also, through tribal prophecies given to their most respected leaders. The Forgotten Awakening tells of the historical events that resulted from these early prophecies, and the Christian spiritual awakening that resulted among those tribes in 1828-30. Unfortunately, in 1830 came Andrew Jackson’s Indian Removal Act, followed by the Trail of Tears, the Manifest Destiny ideas in the 1840’s, and the false belief that Christianity is “the white man’s religion.” These developments eclipsed the more hopeful memory of what God did in the earlier years. Based on years of original research of trappers’ and missionaries’ journals and oral traditions of the Plateau tribes, Doug McMurry has pieced together the gentle story of the earlier years, in which both whites and Natives were earnestly seeking God and finding Jesus. Clearly from the evidence, God intended both groups to come together on an equal footing in mutual respect, exploring each other’s strengths. The Forgotten Awakening is not a novel, but a historical narrative designed to convey real people and events. By restoring a forgotten piece of spiritual history, perhaps we can appreciate more accurately God’s vision and purpose for America. To this end, Doug McMurry has studied published and unpublished journals, letters and oral histories, and has attempted to tell the story that emerges from them without adding fictitious characters or undocumented events. He traveled to the locales of these events to imagine them as accurately as possible—and the result is a story that will challenge our stereotypes of trappers, Natives, and missionaries—even of God. The story follows two men, the trapper-mapper Jedediah Smith; and the son of the chief of the Middle Spokanes, Slough-keetcha, who was renamed Spokan Garry by the English governor, George Simpson. Having received word of Jesus from Jedediah Smith, and guided by tribal prophecy about “leaves bound together that white men would bring,” the great chief Illim-Spokanee surrendered his son to be educated about Jesus, the one whom the tribes called “The Master of Life.” After three years under the tutelage of missionaries David Jones and William Cochran, he returned to find tribal leaders from hundreds of miles around gathered to meet him, all eager to hear what he had learned of Jesus, the Master of Life. Spokan Garry thus became the first Christian evangelist west of the Rockies, on a preaching tour in 1828-29. And the result was: a great spiritual awakening that has been entirely forgotten. Douglas McMurry believes that if we could do a better job of listening to the heart of God, we could yet achieve the vision of Jesus the Master of Life, who stands above all cultures and plays no favorites. About the author: Pastor of Presbyterian churches for 35 years. Founder of "The Clearing Where Eagles Fly," a house of prayer in Virginia. You can go here to learn about all kinds of other books that I sure you will love. You Can Buy: you can go here and order from Amazon for $$11.69. The Son In My Eyes by Mai Spencer is a very interesting book. It started off a bit slow and picked up speed after the first few pages. It is the story of a girl who grew up in Vietnam during the war. She tells about her life there, her family, the culture, the poverty, and the religion. She talks about many bad things that happened as she was growing up. The deaths of some of her family members, bombings, sickness, and government raids. She talks about mistakes she made as well. She definitely lived an interesting life. It prepared her in many ways for things to come later. She met and married an American man. She came to the United States; she lived here for many years. It wasn't all wine and roses here either. She went through the deaths of two of her children. She became a christian and decided she needed to help her family back in Vietnam to become Christians. The book is basically the story of why and how she ended up building a Church and Vietnam. It is a very good story. I liked the parts about the culture and lifestyle of the people in Vietnam. It really highlights how truly blessed and even spoiled we are in the United States. The poorest people here are rich compared to what she describes in this book. There are many scripture quotes in the book as well. The scriptures are well chosen and fit in with the story. It sometimes comes across as being preachy so if you really don't like preachy you might not like this book. Other than that I would recommend it to anyone. I received this book free for review. No other compensation was received. go to Tell Us The Truth Reviews!" Children's books with CD accompaniment by the author and her children! We were sent two new delightful books to check out a few weeks ago. 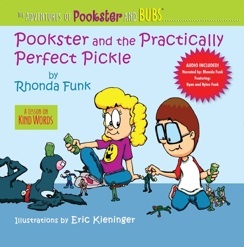 The Adventures of Pookster and Bubs are a series of soft cover books that also have CD accompaniment. Not only do they teach important life lessons, but they do so by incorporating Bible verses and why it is important to God. 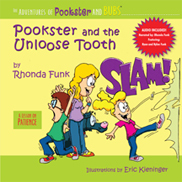 What a hilarious book about how Pookster needs to get rid of a tooth! She tries everything to rid herself of the tooth until her older sister gives her the tip that works. The overall message is one of patience which is so important for all of us, especially preschoolers! Graham loves that there is a narrated CD so that he can follow along. Kind words can be a tough thing whenever someone takes what is yours or does you wrong. It really can be a challenging concept to teach kids if you are not consistent. I love how Pookster and the Practically Perfect Pickle teaches this lesson while adding in funny stories and situations your kids can relate to. Something to keep in mind is that using the CD narration, there is a chime to let you know when to turn the page. I think they did a great job capturing the spirit of the book with the narrator, but she does go pretty fast for Graham (as well as the chime). Just FYI in case you leave the room while they are reading. You can purchase both of these Pookster and Bubs titles for $20 total or $11.99 a piece. Be on the look out for the newest title, Bubs and the Pursuit of Puppiness. Also, make sure to follow Pookster and Bubs on Facebook. “From the moment of her birth, Farema was not like her sisters. She didn’t respond normally to sounds or the touch of a hand. She was different. Embrace this mother’s deeply personal account of tragedies and triumphs, along with joys and sorrows of raising a child with the devastating disability of autism. When lives have been turned upside down and we have nothing left to cling to, God offers amazing grace to find encouragement and authentic hope in the face of overwhelming confusion and grief. This was a difficult book to read because its topic– autism– is difficult. The author, mother of an autistic child, tells her daughter’s story– and her own story– with honesty and openness. It is honest and open in its facts about living with the challenges and loneliness of autism, in both family and community settings, as well as being a testimony to God’s love and grace. I feel that the message of this book is important and helpful, and I recommend it– not for easy reading– but to educate and inspire. "I admire (this author's) honesty, even though it's almost too painful to read" read more on an adoption gone wrong here. I have my own share of family, well, not secrets, but things that are too painful and raw to talk about or to blog about. I can’t imagine writing a book about my own wounds, even after they someday, God willing, are healed. Nevertheless, that’s what Kristen Richburg has done in this book, and I admire her honesty, even though it’s almost too painful to read. Disrupting Grace is about attachment disorder and about an adoption that didn’t last. Of course, the operative question going into this true memoir of an adoption gone terribly wrong, is how? How could anyone give away their own child, adopted or not? Why would anyone give up their own child, no matter how damaged or disturbed? “I have two children. I used to have three. My third child didn’t grow up and leave home; she didn’t die. I relinquished her. I stood before a judge and said that I was no longer able to meet her needs. She is living with another family now and has a new last name. . . .
How did I get here? Were those five years a dream? Aren’t adoption stories supposed to have happy endings? . . . What are families to do when despite all their efforts, their child isn’t thriving, and the rest of the family is coming apart at the seams? I believe in adoption. I know many, many happy, well-adjusted adoptive families. However, we live in a broken world. And just as I believe in marriage and yet know that sometimes divorce is a last option, I can also see that in some situations the only “solution” might be to place a child, adopted or not, in another family where he or she has a second chance to bond and grow and be loved. This story is important for families who are considering adoption, for those who are supporting adoptive families in prayer and encouragement, and pastors and counselors who might be confronted with difficult adoptive situations. I found it fascinating, and although I hurt for both the Richburg family and for the little girl they adopted, I was also able to see God’s grace and mercy through the pain of a very difficult journey. Kristin Richburg’s website gives links to resources for adoptive parents in addition to more information about the author and the book. Here’s a bibliography of resources about attachment disorder. "My kids really liked this book, especially my five year old..." says this blogger about The Rose Princess and the Special Gift! The Rose Princess and the Special Giftis the story of a special girl in an idyllic kingdom who learns about sharing and generosity. The Rose Princess wakes up one morning to find that her father, the king, has left her a box of gifts. As she continues throughout her day (walking around with no parental supervision or security staff! ), the Rose Princess encounters others who seem more in need of these gifts than herself, so she parcels them out. She returns home worried that her father will be upset with her, and is amazed to discover that he is actually proud of her for acts of kindness. The story itself is simple, and not -like many children's books these days- filled with jokes and innuendo for the parents' benefit. In its simplicity however there are layers of depth that lead to question and answer sessions and many re-reads. There are, in fact, many lessons here beyond the obvious. I couldn't help but wonder if it was at all inspired by the parable of the talents. My kids really liked this book, especially my five year old daughter. Beyond the story, she loves the illustrations of the wide-eyed princess, who embodies every little girl's idea of what a princess ought to be. It is also a good length for a kids' book, long enough to satiate the children's desire for a good story, but not so long that the parent starts to fantasize about margaritas or mentally compose shopping lists halfway through. Check out this amazing new video of author John Claeys and the launch of his new ministry!! Your kids won't realize they are getting a history AND a moral lesson in this book! 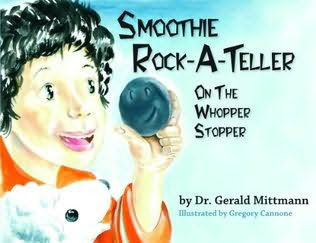 Smoothie Rock-A-Teller: On The Whopper Stopper is the biblical story of David and Goliath. If rocks could walk and talk then this is one story they may tell. Smoothie is a rock created by God to fulfill his destiny in the place of all things. He is content to lie at the bottom of his brook where the water would tickle him with its whooshing and swooshing. His one dream in life is to fly like the tweeter-flappers, some would call them birds, but what kind of word is that? Bird?? Nope, they are tweeter-flappers because they tweet and they flap and they flap and they tweet. One day, Smoothie is noticing some strangeness going on in the world of the talking-walk-abouts, the Philistines were readying for a fight and the people of Israel were frightened. The Philistines had themselves a whopper stopper of a talking-walk-about and the Israelites didn't have one champion amongst them who would take up Goliath's one on one challenge. Until the day little David was sent to take some food to his brothers who were on the front lines of the upcoming war. Seeing how this whopper stopper was yelling and making fun of God, David proclaimed he would stop the giant. Searching the brook for the perfect stones to send flying in his sling, his feelers find Smoothie lying in his place in the brook and he is placed into David's sling and for the first time, Smoothie is flying just like the tweeter-flappers! With the faith of God behind him, David sends Smoothie flying true and Goliath, the giant whopper stopper is no more. I thought the pictures in the book were very nicely done, illustrated byGregory Cannone, in a water colour washed effect. There are many sight words listed throughout the pages and my children loved hearing them. The story is an old one, but its approach is a fresh idea, making up words to get the children to follow along. All the made up words were neat and the different explanations and names of things was most imaginative and the children giggled over their meanings and stayed focused on the story. I wouldn't suggest reading the story in one sitting, the book is set up in a chapter like format. The beginning has a verse from the bible listed and at the end of each chapter are questions to be discussed with your young folks! They don't even realize they are getting a history AND a moral lesson in each chapter they read. You are also encouraged to pray at the end of each chapter, giving you suggestions on what to pray for! I'm fairly certain this would be beneficial in bible study classes for young folks or even if you homeschool and need an introductory book explaining the biblical story of David and Goliath, then this would most certainly help! There is a story in the Bible about a WHOPPER of a giant who did not love God. Everything about him was a whopper - he was whopper tall, whopper strong, and whopper mean! Everyone was afraid of this giant, except for one. This is David and Goliath told from the eyes of the littlest one. No, not from David (the watcher of the baa-baa mini cloud-walkers), but the rock who saw it all! Now, rocks don't walk, and rocks don't talk, but if they could...they would tell you of the time that a whopper champion came looking for a whopper fight with the army of Israel, and how God used one small boy to bring him down with a simple little whopper stopper! The entire family will enjoy this Bible devotion as Smoothie Rock-A-Teller shares David's story of courage in a way you've never heard before! Regardless if you are a Christian or not, this book is an amazing glimpse into life during wartime in Vietnam. This book is the life of Mai Spencer, who started her life as a Buddhist girl in Vietnam, during the war. You follow her life from the humble beginnings to growing up, meeting her husband, moving to the US, having children, and eventually her ministry as a missionary back in her home country of Vietnam. Mai has had some serious tragedies in her life, and one such incident was when she lost a child. She wrote how she believes that God could work this loss for good, and if you have never lost a child you can never fully understand how someone else feels when they lose a child. How can you comfort them, or minister to their broken heart if you haven't been there. This really touched my heart, as I feel the same way. I had a miscarriage in 2005 and I remember thinking that while I didn't know why this happened, I knew God had a reason. I just had to be open to whatever good he was going to bring out of it. Well, since that time, there has been many times when miscarriages have come up in conversation, and when I mention that I had one, someone tells me they are either experiencing one, or recently did. Sometimes someone remembers that I went through one, and will contact me about it. I have been able to talk to so many hurting hearts because of what I went through. It was a hard and heart-breaking experience, and one I still think about, but God truly works things for good. If you are hurting you should read this book, she has a real heart for the heart-broken. I did find that sometimes she was a little hard to follow as her time line jumped around a little with her train of thought. Or when she added in the scripture that went with her story she was telling, she would explain what is happening in the scripture, then add the scripture in and then go back to her story. I would get lost and have to go back to see where we were. Now part of that is because with 3 boys running around my life is a little crazy and I can get distracted easily. It wasn't a big problem, just sometimes I would get lost. Sometimes I see in a book they will do a scripture at the beginning of a chapter, and then during the chapter the story will tie in, that might have helped eliminate the confusion. I have seen alot of American versions of what happened in Vietnam during the war, but to hear it from someone who lived it, and lived through some harsh life experiences, I really was opened to what life was really like for the Vietnamese. It also really made me think about how no matter what life throws at us, we need to really thank God for his provisions and know that he is in control, and will work it for good if we give him a chance. The cover really does draw you into the book, and the back cover really tells you a good summary of what the book is about. Raised a poor, young, Buddhist girl during the time of the Vietnam War, Mai Spencer nearly lost her life after being exposed to Agent Orange. Overcoming tremendous obstacles, and surviving the effects of the war, she found a sense of security in her new husband and life in America. It wasn't until after three of her four children died prematurely, Mai turned from the false god of her childhood and cried out to Jesus, the Son of the Living God. The Son In My Eyes - Seeing the Light Of Jesus In Vietnam, is a dramatic testimony of forgiveness and hope, and tells how God made Mai into a woman of destiny when He called her to return to Vietnam and build a church there. If you are a Christian, you will rejoice in how God works in the life of a buddhist girl, and see how he is drawing her to himself. If you are not a Christian, you will still learn how to handle tragedies in your life, and learn what the life of the Vietnamese citizens were like during the war. To read more reviews like this one, go to Tell Us The Truth Reviews!" BUY IT: Go to Amazon and purchase this book! Disclosure: I was given a copy of this book for my honest review. No compensation was given, and all opinions are my own. This book rates 5 out of 5 stars!! Looking for a great Summer read? Pookster and Bubs: A Practically Perfect Book! Murder, Mystery, Intrigue! In a Christian novel?? This Story surprised a very Skeptical Reader!